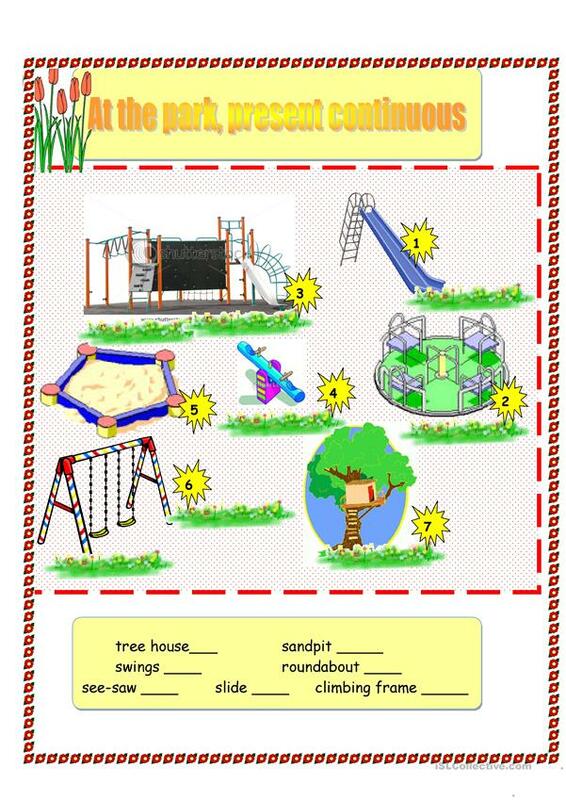 This ws is dedicated to children who are learning about the present continuous. It also helps them build vocabulary on the games you can find at the park. First, students have to match the words to the pictures. On the second sheet, they make sentences using the present continuous at the different forms. The above downloadable handout is best suited for elementary school students at Elementary (A1) level. 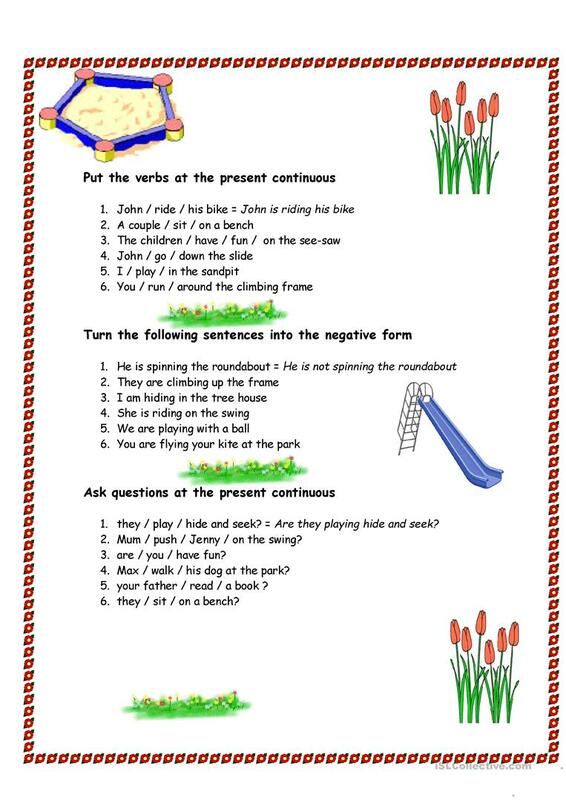 It is a useful material for revising Present continuous (progressive) tense in English, and is useful for developing your class' Reading and Writing skills. It is focused on the theme of Hobbies.